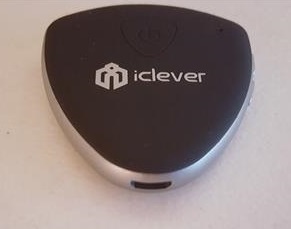 The iClever F56 is a Bluetooth receiver and transmitter that will work with many devices to add Bluetooth when needed. 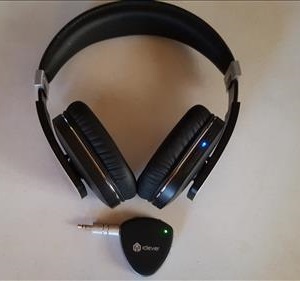 For example a TV can have Bluetooth added that transmits to headphones, or a car stereo can have Bluetooth added to answer calls and play music. 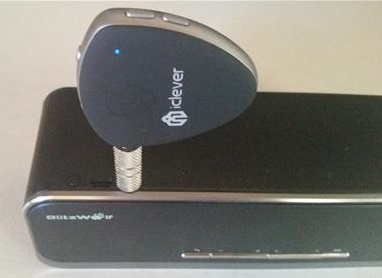 With Bluetooth the main standard to transmit audio, having a small low cost device such as the iClever F56 can be a nice upgrade for any non-Bluetooth electronics. 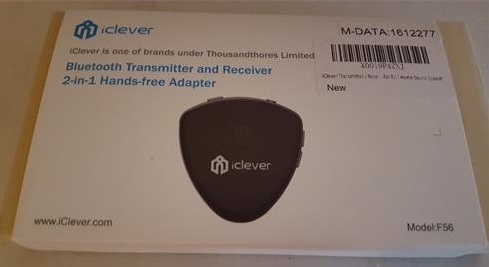 It comes with everything needed including the Bluetooth transmitter/receiver, DC 3.5mm Connector, 3.5mm audio cable, micro USB cable, and instruction manual. The unit is oval with the power button on the top and charging power port at the front. The top button also can power On/Off, Pause/Play, and answer/hangup calls. One side has the Next/Previous Track, volume up and volume down buttons. 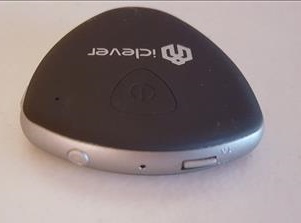 The back has the receiver transmitter switch, microphone, and pairing button. The 3.5mm audio line-in line-out is on the other side. 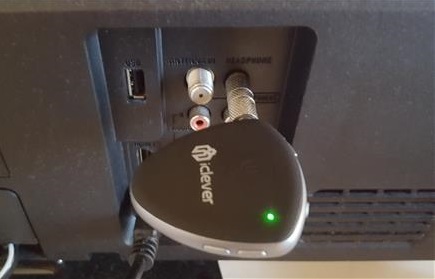 To test the iClever F56 in transmit mode I plugged it into a TV audio line out jack and paired it with a Bluetooth head set. The process was easy and worked much better then I expected. The setup was easy by first switching the transmitter/receiver switch to transmit. Pairing with the headset was quick by pressing the Pair button on the iClever F56 and Pair button on the headset. They automatically Paired together. I had no lag through the headset I used the Archer AH07 and could hear clearly while walking about. The receiver side is made to play music or make hands free calling over a stereo system. This would be good for a car with a non-Bluetooth radio or a home stereo system with no built-in Bluetooth. To test it I paired it to a home speaker with a 3.5mm audio line-in jack. 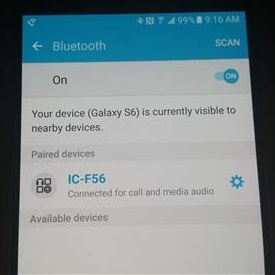 Pairing it to a smartphone is easy to do by going into Bluetooth setting and touching Pair. Anything played on the smartphone would play on the speakers. Apps such as YouTube, Pandora and so on will stream music straight to the speaker it is plugged into. The unit has a built-in microphone which makes answering calls easy. This makes it a nice fit in a vehicle that has no Bluetooth and needs hands-free-calling. 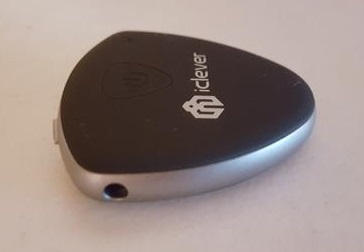 The iClever F56 Bluetooth Receiver Transmitter does what it is built to do which is add Bluetooth to non-Bluetooth devices. It worked very well for me and no-doubt has many more situations it can be used in. There is a built-in microphone to make calls with which is a nice feature and gives it the ability to make hands-free-calls. As always be sure to read the reviews on Amazon or elsewhere to be sure it is a good unit for you. 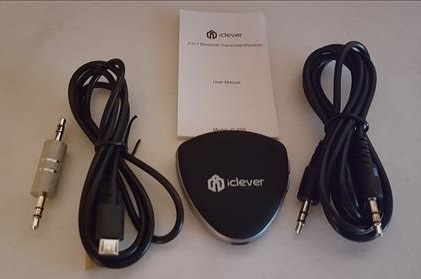 I want to purchase this icleverf56 for my LG make LH 600 T non- Bluetooth smart tv to connect with myTargus Bluetooth key board for typing on web.